“World cannot be truly seen from inside of your house only”. “World cannot be truly seen from inside of your house only”. Some categories are mostly purchased for “in home consumption”, but there are also some big categories that are very skewed toward “out of home consumption”, such as Ready to drink beverages. The category preferences in different age group could be different. For kids, more than half of their consumption are for liquid milk, biscuit and ice cream. Is it different with teens and adults? FMCG players could see how different their consumer behave for in home and out of home, even in different age groups. They can apply some strategies that need to be routed for different age groups. To kids categories, could be by educating parents (moms) of the nutrition offered. What other strategies can be applied? By having additional “out of home panel”, manufactures can do complete and thorough analysis on the consumer purchase, since there are so many purchases made out of home. 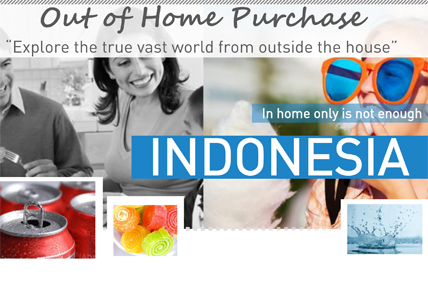 Please follow link on the right side of this page to find more facts on out of home purchase.